Bluetooth Low Energy (BLE) beacon manufacturer Estimote has added programmable NFC into its new range of Proximity Beacons to make it easier to identify and configure the devices and to enable a range of consumer experiences such as confirming payment, collecting loyalty points and clocking in. “NFC in the new Proximity Beacons is fully programmable — set up as many of your own NDEF records as you like, up to 256 bytes total, all through our secure configuration API,” the company writes in a blog post. “Together with the Estimote fleet management API, you could even re-configure these records remotely. “Estimote Android app already supports Proximity Beacon’s NFC,” Estimote continues. 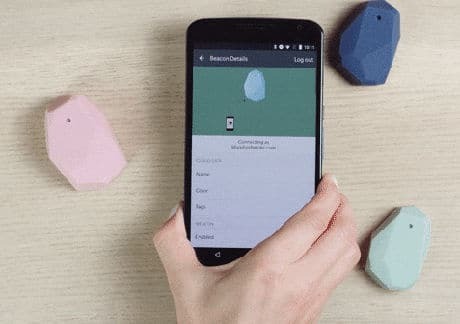 “It’s now easier to identify and configure beacons — just tap one with your smartphone and the Estimote app will automatically open and connect to it. The new Proximity Beacons will retail at US$59 for a three-beacon development kit and are now available for pre-order, with shipping expected later this month.